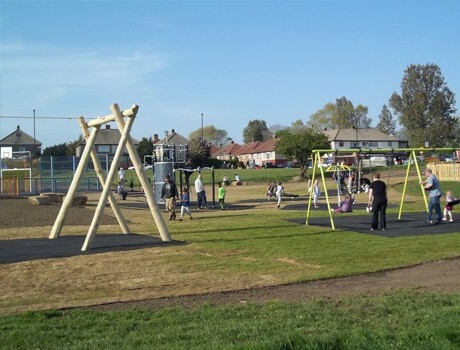 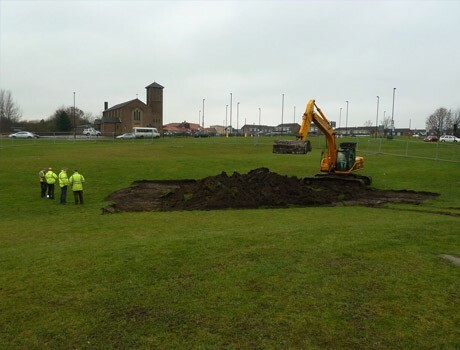 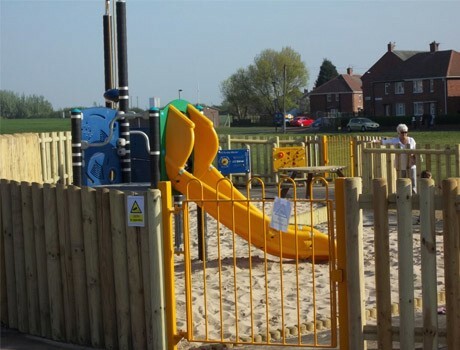 This was a complex design and build project incorporating extensive drainage works to overcome a recurrent flooding issue at Station Road Play Area. 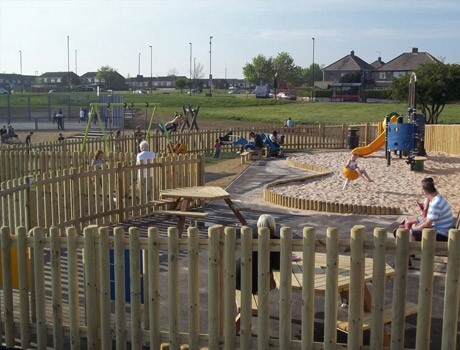 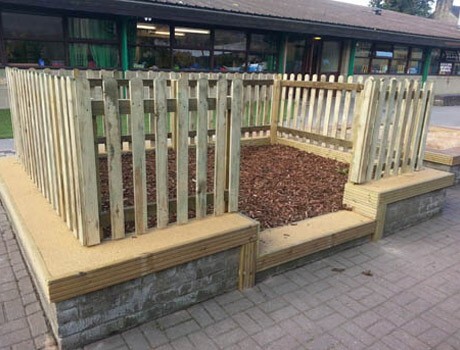 In addition to proposing an intricate drainage system solution, our design team worked with the varying site levels innovatively, placing play equipment smartly across the site, using full round log walling to their best effect in dividing the different levels. 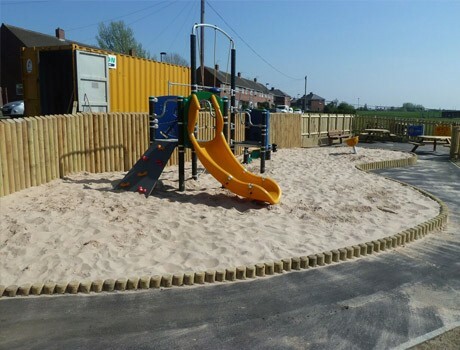 The toddler area was a stunning design with a timber log wall enclosing the vast sand pit which doubled as a safety surface for the toddler multi activity play unit. 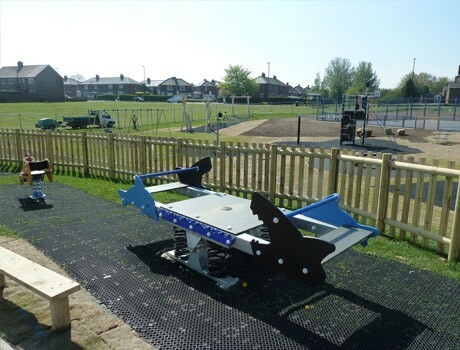 This was complemented with 2 weather activity play panels and a large multi user, all inclusive see saw as well as ever popular springies and the obligatory set of cradle swings. 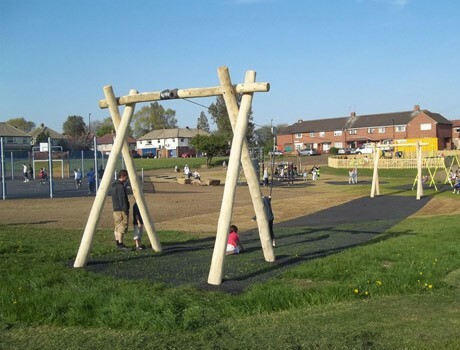 A basket swing provided swings for both able and disabled children and a tremendous timber aerial runway was a particular feature of the new outdoor adventure playground. 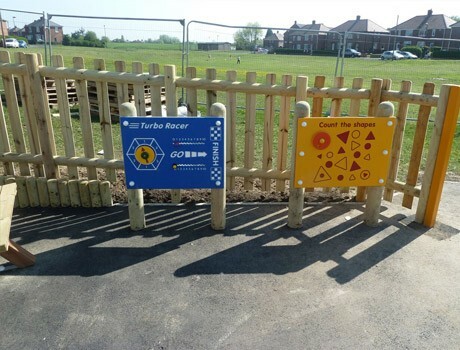 The Junior playground was fenced using timber palisade fencing to enhance its natural theme and included glacier boulders which were hand selected to ensure they were safe for clambering and seating. 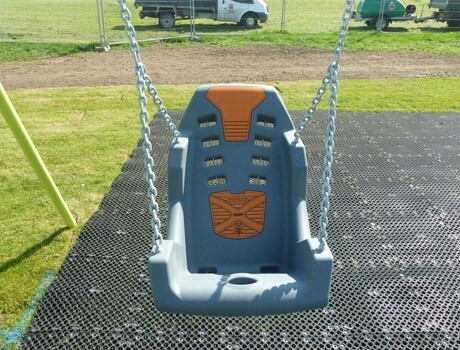 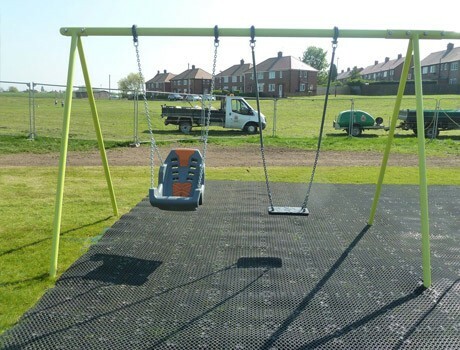 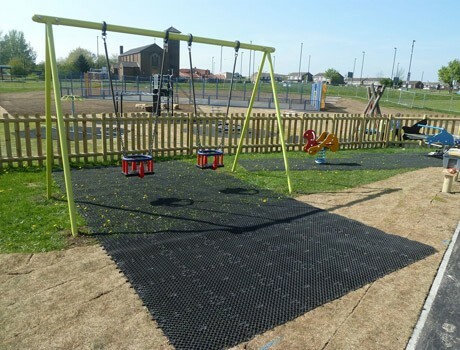 The multi activity climbing unit was installed into a sand safety surfacing whilst the swings benefitted from grassmat safety surfacing. 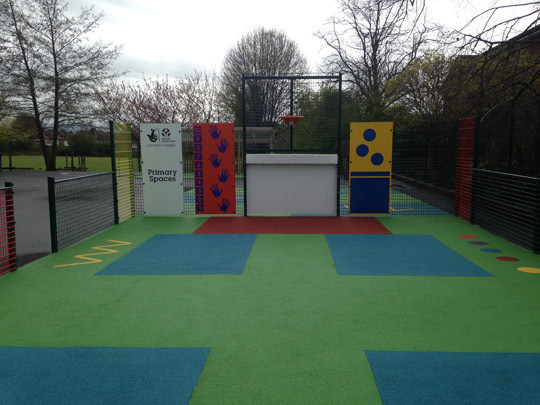 A 30m x 15m new MUGA complete with tarmac sports surface was constructed to provide all weather sports and play activities for the older children as well as local community sports groups.